Great for any horse enthusiast. The Gorgeous Horse your number one source for equine excellence! 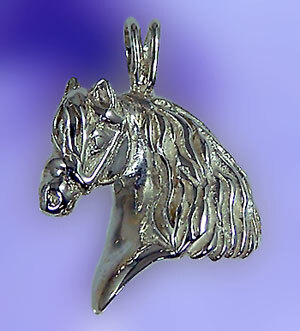 Horse lovers can warm up to this new design. Featuring exceptional detail in the forelock and mane and it's bridled! Wonderful three dimensional look and a nice heavy weight. Dimensions: 3/4 inches wide x 7/8 inches tall.